Having grown up in Hidden Hills, Kristal has intrinsic knowledge of all the aspects that make the West Valley and its surrounding areas a wonderful place to call home. 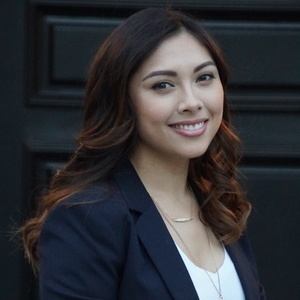 Her parents began investing in real estate during the early 2000s, lending to Kristal becoming enthralled with the entire process; from finding and negotiating a great deal to designing an esthetically appealing property, Kristal fell in love with real estate. Her passion for the industry is highlighted when finding clients their dream home. Kristal is vibrant and enthusiastic with experience in varying aspects of real estate. Most recently she ran a property management company dealing with both residential and multifamily properties. Kristal prides herself on creativity when solving problems as well as handling things with the utmost integrity and discretion. Her keen sense of organization gives clients peace of mind throughout any transaction. Her ability to establish rapport and trust in relationships enables her to understand and best meet or exceed her client’s expectations. You may see her with her son at local community or school events, which she regularly attends and is also involved with various charitable organizations. Kristal’s number one priority is making sure her clients feel at ease from beginning of a transaction to the end.